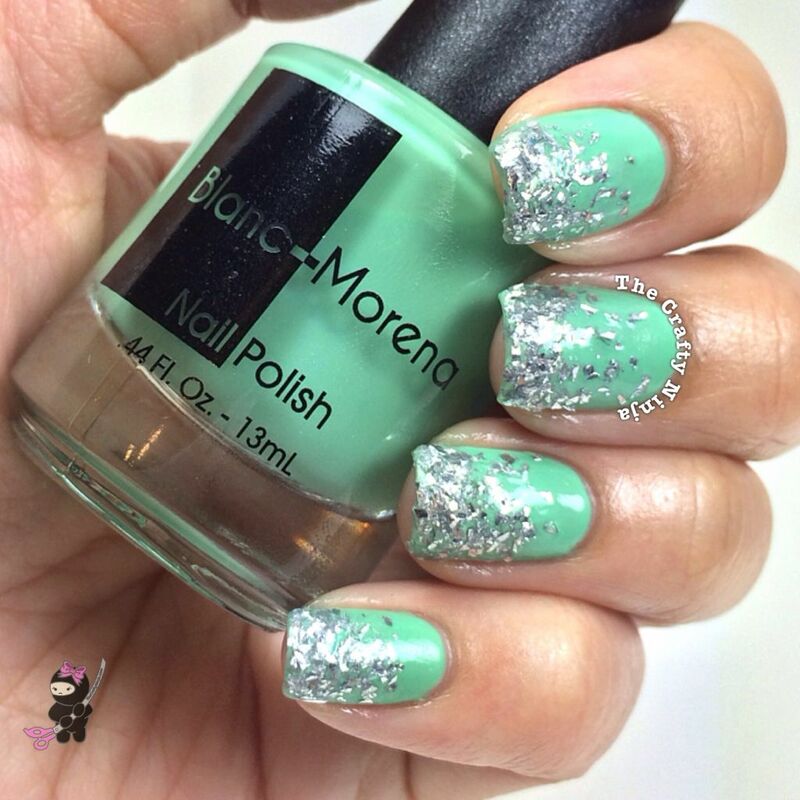 I love this perfect minty polish by Blanc-Morena I AM Abundance. I’ve have been currently obsessed with Mints and this polish is one of my favorites. The formula is great and non streaking. Blanc-Morena is currently having a nail polish sale for only $7.95! The silver glitter flakes is Super Nova by Five 11 Fashion. This is a quick swatch of Crafty from Five 11 Fashion,which was especially created for me! I have on The Face Shop Blue as undies. Such a glitterific polish that sparkles like crazy! 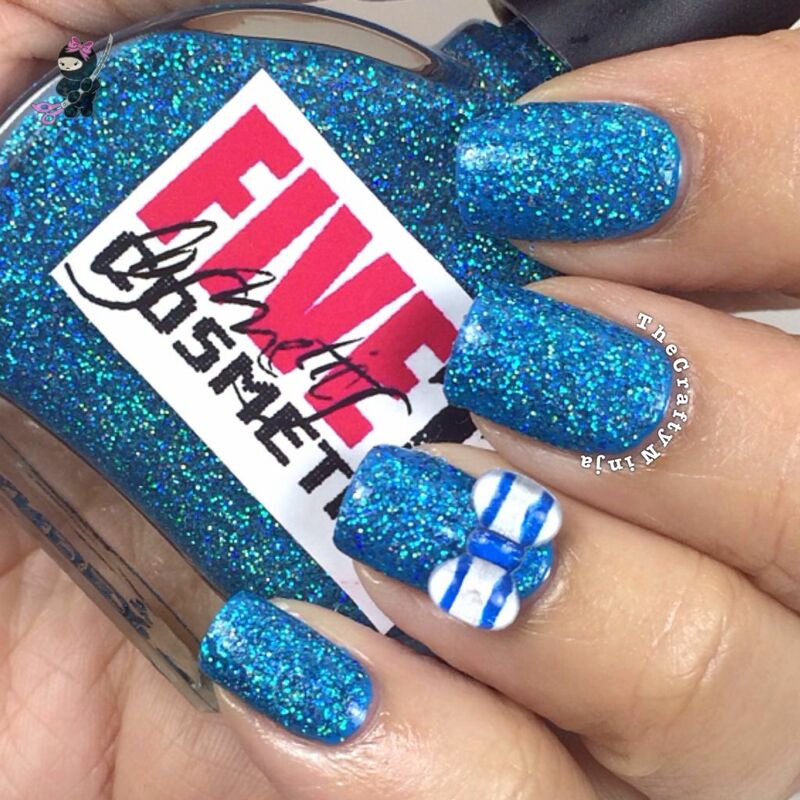 The 3D nail art bow is by Simply Spoiled Beauty, use coupon code crafty to get 35% off your purchase today! Quick and easy Glitter Gradient tutorial. Music by La Roux Bulletproof.